Most of the affordable housing developed in New Hampshire over the past 20 years has received funding through the low-income housing tax credit (LIHTC) program. In addition to other benefits, the credit provides investors who put money into certain affordable housing projects, with a dollar-for-dollar credit on their tax liability. There are two types of tax credits: 9 percent credits and 4 percent credits. Nine percent credits are allocated to a state based on its population size. New Hampshire has approximately $3.1 million in tax credits available in the coming year. Four percent credits are generated when coupled with a tax-exempt private activity bond. Although the LIHTC program utilizes federal tax credits, the credits are used and awarded locally by the NH Housing Finance Authority. The LIHTC program provides a strong incentive for private investment in new, affordable rental housing. On Nov. 2, House Republicans released their tax reform proposal, The Tax Cuts and Jobs Act, which makes wide-ranging changes to the U.S. tax code. The proposal provides for substantial tax cuts, including a significant reduction in the top corporate income tax rate. Unfortunately, the proposal will either eliminate or seriously impact the tools that NHHFA and developers use to finance affordable rental housing in New Hampshire. At a time when we have a statewide shortage of affordable rental housing, the proposal would severely hamper the LIHTC program, which has helped create over 14,000 units of affordable rental housing for people with low and moderate incomes in the state since its inception. The proposal puts forth a drop in the corporate tax rate to 20 percent. This drop will seriously affect investment in affordable housing. While the LIHTC program is retained in the proposal, the drop in corporate tax rate will significantly weaken the credit. The price paid for tax credits, in a significant part, is driven by the demand for tax credits. If the tax rate drops, the overall federal tax liability drops, and hence the demand for tax credits weakens. A drop in demand, created by less of a need for tax credits, will correspondingly cause private companies to either not invest in affordable housing or decrease the amount they are willing to invest. There are no changes or enhancements anywhere else in the proposal that will offset the decreased value of the LIHTCs caused by the drop of the corporate tax rate. Another major impact of the proposal is that it eliminates the tax exemption for housing bonds. Such bonds are an example of an effective federal public/private partnership program in which state-designed and -managed initiatives, funded with bonds, stimulate private investment in needed housing development and acquisition. Housing bonds have supported the creation of almost 8,000 multifamily housing units in New Hampshire and hundreds of thousands across the country. 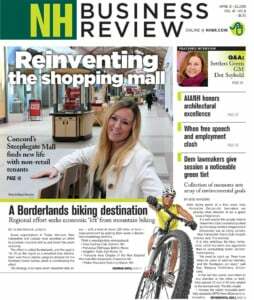 They are expected to support the construction and preservation of 800 to 1,000 units in New Hampshire this year alone. NHHFA is able to issue housing bonds and couple them with 4 percent credits to provide the necessary capital to create affordable housing without taking the credits from their annual allocation. The loss of the tax exemption for private activity bonds would pretty much constitute a death blow to the 4 percent credit. There is some room for optimism. On Nov. 9, the Senate Finance Committee released its proposed tax bill. Like the House proposal, the bill proposed by the Senate preserves the 9 percent credit and 4 percent credit, but unlike the House version, the Senate bill retains tax-exempt multifamily private activity bonds. Despite the introduction of the proposed Senate bill, the House’s proposal remains alive. How the two bills will be resolved and reconciled remains to be seen. Currently our state faces a shortage of multifamily housing inventory necessary to sustain workforce growth and development. The current housing shortage poses a threat to the state’s economic growth, acts as a barrier to expansion of the state’s labor force and adversely affects the ability of many communities to entice new businesses. You can help by calling your Representative and Senators now and urging them to protect affordable housing by opposing the House proposal. Attorney Kenneth A. Viscarello is currently a member of Sheehan Phinney’s management committee and is chair of its Corporate Department.